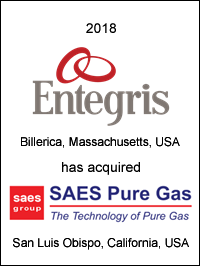 Entegris, Inc.(NASDAQ: ENTG), a leader in specialty chemicals and advanced materials solutions, has acquired the SAES Pure Gas business, from SAES Getters S.p.A. (“SAES Group”), an advanced functional materials company headquartered in Milan, Italy. The SAES Pure Gas business, a leading provider of high-capacity gas purification systems used in semiconductor manufacturing and adjacent markets is based in San Luis Obispo, California and will report into the Microcontamination Control division of Entegris. 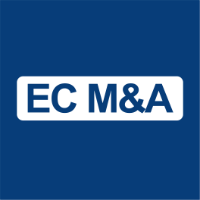 EC M&A acted as exclusive financial advisor to Entegris on this transaction.